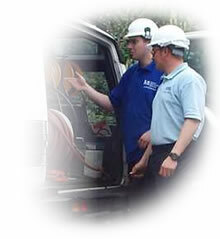 NIS specializes in utility test equipment and prides themselves with their extensive knowledge of the equipment. Our technical backup service tries to give as much guidance and instruction on not only what is new and cutting edge for a particular application, but also backup on equipment which is many years old. We hold hundreds of user manuals for equipment dating back over 15 years trying to prolong the operational life of an item. Our sales team are constantly monitoring the market for new and revolutionary products and can always find the best product for your application. NIS do not have commission based sales personnel and we always endeavour to find not necessarily the most expensive product, but the best item available for an individuals needs.